Experience the thrilling rush of abseiling (rappelling) down a vertical face with Lost Earth Adventures! This is an exhilarating way to have fun, challenge your mates or an exciting way to raise money for charity. Our qualified and experienced instructors will be here to teach you all the skills necessary to conquer the crag. 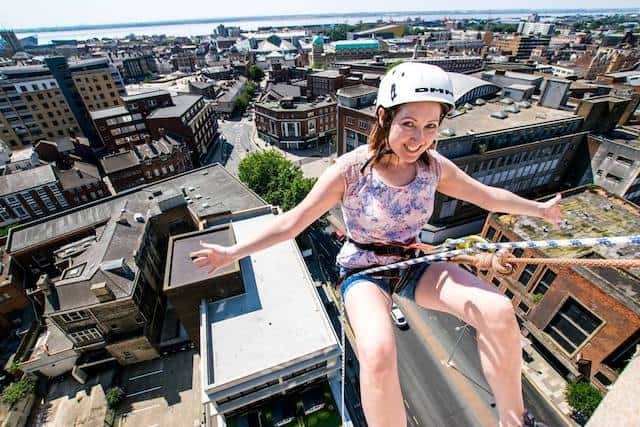 From abseiling over cliffs with nothing but air between you and the floor to rappelling down bridges or buildings, there are endless opportunities to experience! We can also set goals like abseiling the length of Mt. Everest in a day or set up an obstacle course that could involve a climb, an abseil and weaseling (wriggling through holes) where you can challenge your friends or co-workers.You do not need any previous experience at abseiling and our skillful instructors will be there to help you take the leap of faith. 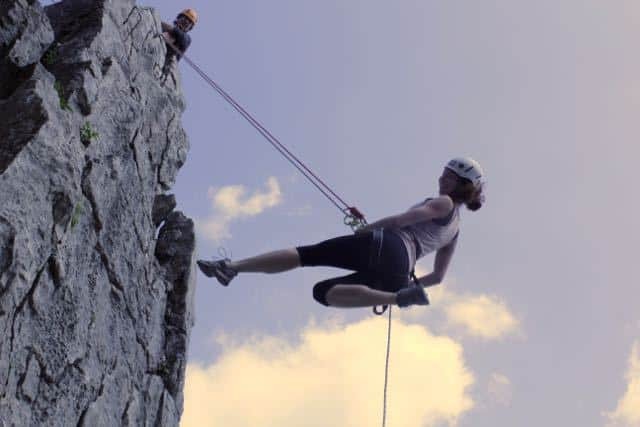 We tailor our abseiling experiences to you and your aims and objectives so whether you’re completely new to it or you’re an abseiling pro, we’ll make your session fit you perfectly. If you choose to abseil indoors or any of the outdoor venues listed below rock climbing is included in the price. We can cater for events of all sizes so please contact us if you have something in mind. We offer a range of different rock climbing days to suit your interests, whether you are a novice climber or seeking a new challenge! 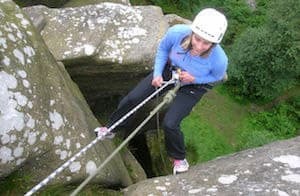 Courses are held throughout the year at Brimham Rocks and at various crags throughout Yorkshire and the Peak District. Continue reading about rock climbing. When you book we will give you the exact location of where we meet. This will either be an easy to find car park or in the case of Stanage in the Peak District we usually meet at Outside, the climber’s cafe in Hathersage. Twistelton Scars – Yorkshire Dales, close to Settle, Skipton, Milnthorpe and Kendal. 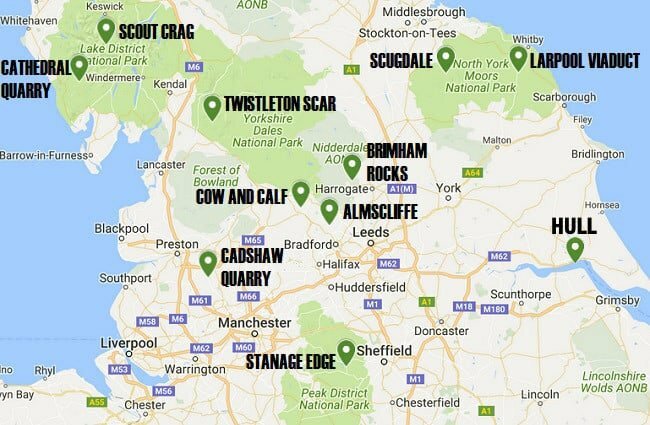 Scugdale – North York Moors, close to Middlesbrough, Whitby, Darlington, Northallerton, Durham and Hartlepool. Cadshaw Quarry – Lancashire, close to Blackburn, Preston, Bolton, Burnley and Wigan. Ilkley Cow and Calf – Yorkshire, close to Otley, Harrogate, Leeds, Halifax, Bradford, Skipton, Settle, Wakefield, Huddersfield and Burnley. This is a great idea to raise money for charity and a fantastic challenge that anyone can do! This is also a superb team building event that we can bring right to your office block. 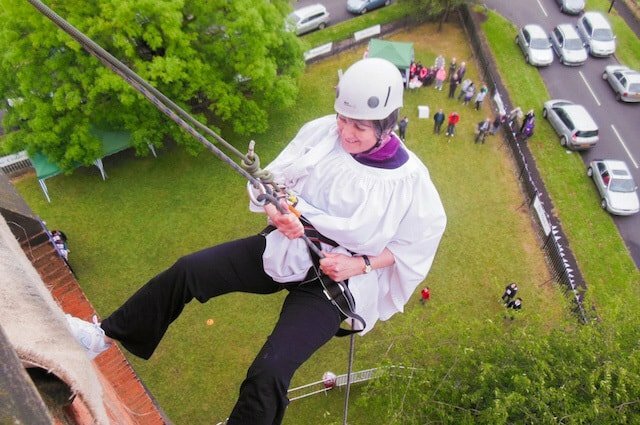 Abseiling works well as a publicity stunt that draws large crowds of interested onlookers and may gain the attraction of local/regional press. 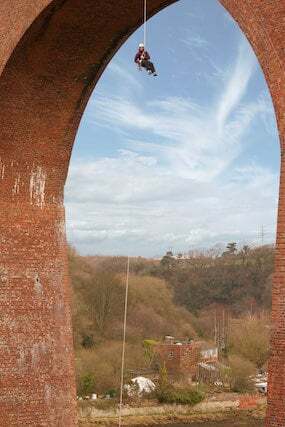 We can bring the abseil to any town in Northern England and subject to a site evaluation and risk assessment being written we can safely help you with your challenge. 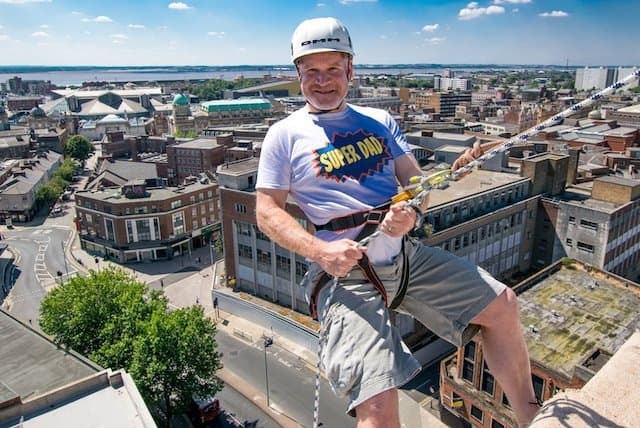 To find out more about city centre abseiling visit our Urban Abseiling page. please continue reading about group experience days. 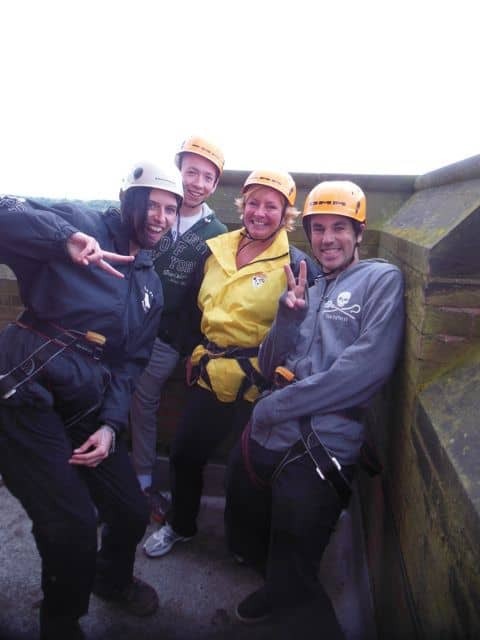 Read more about charity abseils. 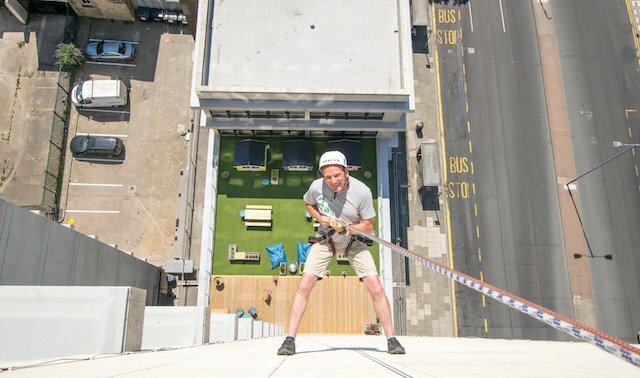 Click on the arrows below to experience the thrill of abseiling. We will provide you with all the equipment you need and our qualified instructors will take care of everything else. You can relax take in the views and have a fantastic day. Fancy a whole weekend of adventure? 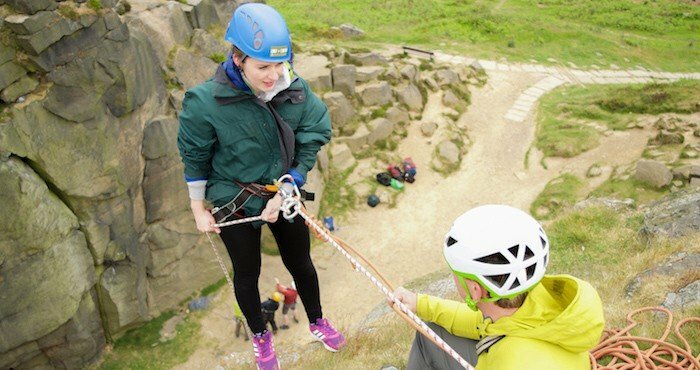 Combine abseiling with rock climbing, mountain biking, gorge scrambling or hiking throughout the peaks and hills of Yorkshire and the Peak District. If you are interested please read what’s on offer on our weekends away page. At Lost Earth Adventures we take safety very seriously.  We have an Adventurous Activities Licensing Association (AALA) License, full public and product liability insurance, write risk assessments for every activity we offer and use highly experienced and qualified instructors with a good client to staff ratio. *We hope you remember your adventures for years to come so it is okay to bring cameras on our activities. However, please be aware that due to the nature of our outside activities, cameras and phones may get wet and damaged so do try to waterproof and protect them sufficiently. We cannot be held responsible for damage of valuables. 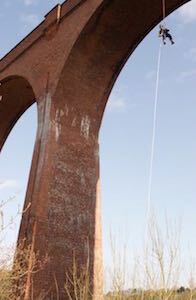 A short video collection of abseiling. 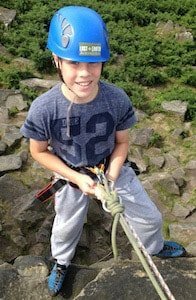 From 8 year Imogen rappelling at Brimham Rocks to 84 year old Jimmy abseiling off of a high church tower to a 30 metre free hanging abseil off of a bridge into a gorge! *The open group events vary in price depending on the course and duration and the prices are listed with the courses on the open group activities page. 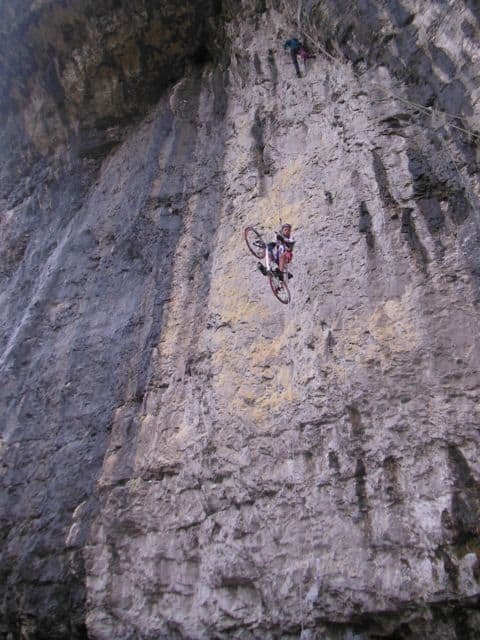 Prices are for outside abseils on natural cliff faces and crags. For urban abseils see table below. 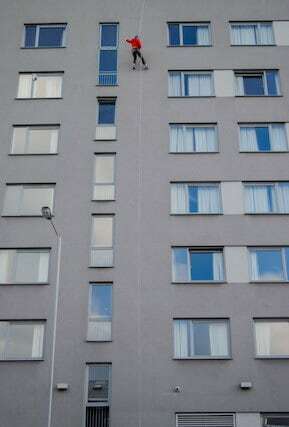 Abseiling off buildings in towns and cities. 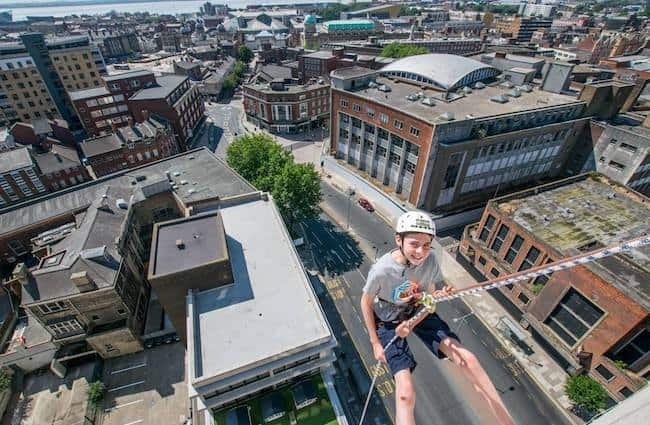 For city centre abseiling prices please visit our Urban Abseiling page. 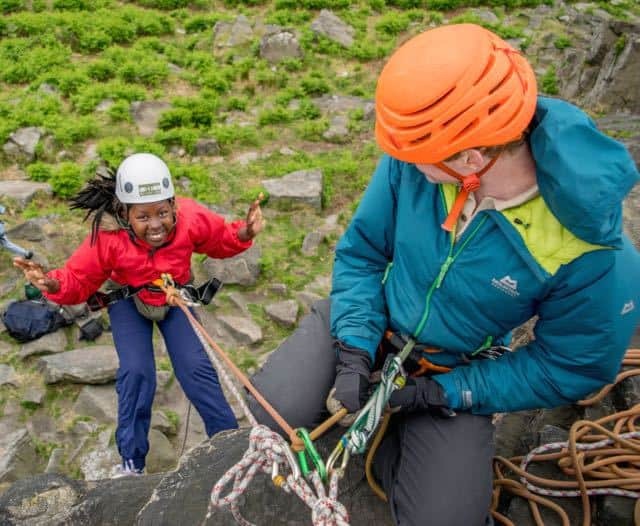 Make it a full day of adventure and combine an exciting abseiling experience with a half day of caving and rock climbing or gorge walking or mountain biking. Our private guided sessions will be tailored for you and your group, giving you the freedom and flexibility to make your day your own. 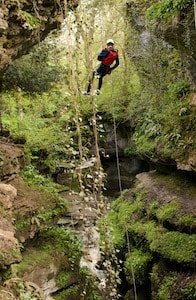 We can cover any aspect of abseiling or rock climbing from simply getting up or down the rock to advancing your technique, and setting up belays. You will have your own personal instructor for the day fully insured, trained and qualified, with many years of experience under their belt. It is up to you how you divide the time between going up or down. Join one of our open group events. Additionally, you can buy any of our courses as a gift certificate for a friend or relative to be redeemed whenever they like! If you require any information please either call us on 01904 500094 or email us at info@lostearthadventures.co.uk.